When you visit the Super Textile plant, you will come to a corner of a wall of green plants, where always draws the visitors’ attention. The green wall is a part of the agriculture garden in the Super Textile plant. The tubes on the wall as the photo showed, replace the plastic pots generally used. The plastic pipe is made out of recycled plastic bags; the raw material from plastic bags is our achievement on the recycling jobs. Inside the tubes are leaves, kitchen waste, soil, and waste cloth to provide the plant with nutrients. Super Textile staffs made an ingenious design on the plant wall: to give a little tilt on each tube, you can let all the plants to obtain the water, only you irrigate on the top, will the water flow from the top pipe down to the bottom one. 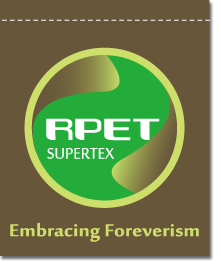 Super Textile's efforts in environmental protection can be said to spare no effort spare no pains; we fully re-use the recycled materials on the facilities around us. Our endeavor not only reduces the waste of impact on the Nature, but also brings the advantage to the environment.